Students have a lot of decisions to make while they’re in college. These range from which courses to take up apart from their core subjects, to deciding which internships would benefit their career. However, the single biggest decision that any college student needs to make revolves around what to do after college. As a matter of fact, almost every other choice that a student makes in college revolves around his/her plans after college, be it studying further or taking up a job. Deciding what to do after college has a significant impact on your immediate future as well as long term goals. This decision gets difficult because there are several factors that impact it, such as interests, costs, opportunities etc. For example, you might realize while pursuing your degree that your true passion lies somewhere else, and you might decide to pursue a career in that field after college. But what if that career requires you to pursue a separate course after your graduation, something that you’re not willing to do? To ensure that you don’t make a wrong a decision at this crucial juncture in your life, it helps to consult a Career Counsellor. A Career Counsellor will guide you through this whole decision making process and will give suggestions that are beneficial for you with regards to whether you should take up a job after college or pursue a postgraduate course. Additionally, a Career Counsellor will also help in developing contingency plans in case things don’t work out (not getting admission in the desired course or not getting a job etc.). Not only that, but he/she will also help you make decisions in case you wish to alter your career goals after college. In such scenarios, a Career Counsellor will help you decide whether it is worth it to completely change your career focus or not, and if yes, then should you first take up a course in that career or directly apply for a job. A large number of students today choose to pursue a postgraduate course after college. Even though specialized education is beneficial academically, it might or might not benefit each individual and every field. Additionally, is it better to pursue that postgraduate course (if at all) straight after college or after gaining a few years of work experience? Deciding whether to pursue a postgraduate course after college or not is a decision that your Career Counsellor will help you in making. He/she will keep your course, career, personality and interests in mind while guiding with regards to what to do next. For people who are sure about their career goals and want to pursue a postgraduate course in the same field, a Career Counsellor will help them decide whether it is genuinely worth it to invest more time and money into further studies or take up a job directly. For example, it might be ideal for a B.Sc. in Chemistry graduate to pursue an M.Sc. after college if the big goal is to join the academia, but a graduate in Mass Communication might be better off joining the workforce as an entry – level employee rather than pursuing a Master’s course in the same field if the objective is to work in the industry. Not only that, but if at all you do have to pursue a postgraduate course, then what is the best time to do it? Would you be better off gaining some working experience before you choose to do so, or is it better for you to join that postgraduate course as soon as possible? A Career Counsellor will help you in deciding this. There are scenarios in which the decision becomes complex, for example, in case you wish to pursue a career which is completely unrelated to your college degree. This generally happens when you choose to prioritize your inherent passions and skills over your academic knowledge. In such circumstances, a Career Counsellor will help you decide whether changing careers is worth the risk or not. And if it is, then should you pursue a postgraduate course in that field first or take up a job? No single decision is applicable to all students. Different choices are suitable for different situations and a lot depends on a person’s skills, interests, strengths and personality. A Career Counsellor will understand your needs and guide you towards the best possible route for you, keeping your individuality in mind. Students who wish to start working immediately after college face a different set of decisions as they plan to transform into working professionals from students. A Career Counsellor helps such students gain more clarity regarding the professional world and guides them into the right direction. The knowledge you acquire at college will usually point you towards an industry at best. The ideal work industry for a chemical engineer is the chemical industry, for an English student it might be the media industry, for a CA it might be an accounting firm. But there are multiple roles for which you may be employed in these industries, each very different from each other, each leading you to a unique career and life track. 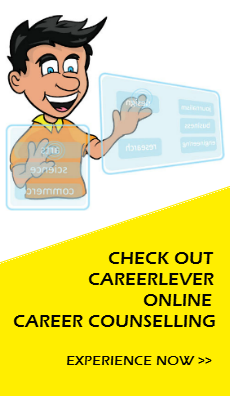 The career counsellor will help you figure out which role suits you best and makes you aware of how your career will pan out with the choices you make. Additionally, there are work environments and company cultures to consider in making the right decision. In case you’re a student who plans to change his/her career, i.e. start working in a field unrelated to your college degree, a Career Counsellor will be of great help in guiding you with regards to the pros and cons of making the career change. He/she will help you determine whether it is worth changing your career goals or not.